Le Roland Morillot was being built for the French Marine Nationale when WW2 broke out. She was scuttled on the day she was launched in Cherbourg, June 1940, just before the German invasion. 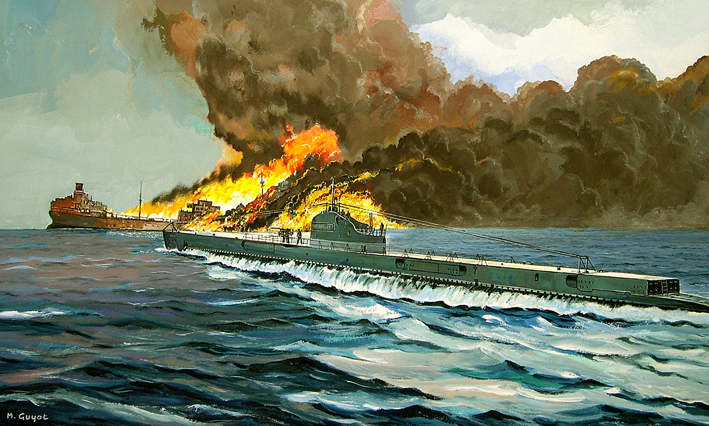 This painting shows the submarine in totally fictional circmstances.